Giving a room in our home or place of business a makeover? 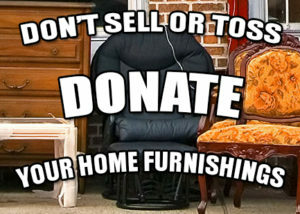 Do you have furniture, lighting, window treatments, or accessories that you will no longer be using in that space? In partnership with The ServEntrepreneur Foundation, a 501c3 charity serving entrepreneurs and developing servant entrepreneurs, MBID International is honored to equip our clients to serve their community. 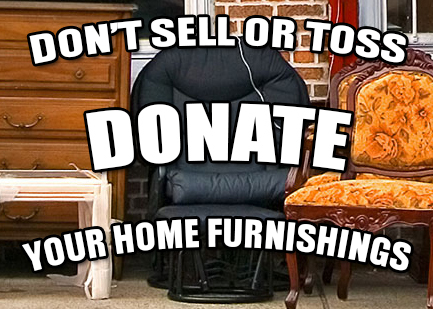 We collect quality, gently used home furnishings for use in future charity, reduced fee, and pro-bono projects for those in need.